Hydration is something we're inclined to worry about in the summertime, when we sweat more and can be at risk of heat exhaustion if we don't get enough fluids. And while most doctors say water is the ideal fluid for rehydrating,coconut water, the latest faddish recovery drink, is being heavily marketed as "more hydrating" than H20. Some companies allege that doctors even prefer coconut water to other solutions when treating dehydration. Coconut water is "identical to human blood plasma," saysYoungCoconuts.com, and "can be safely injected directly into the bloodstream," according to BodyEcology. That claim arose because coconut water was reportedly given intravenously to people during World War II when regular IV saline solution was in short supply. And one tiny study – of just one person – noted that it had been used successfully on a man in an emergency situation in the Solomon Islands when nothing else was available. But would you really want a coconut IV if you got seriously dehydrated? Shots called up some doctors to get their take on whether they'd give coconut water to patients – either intravenously or by mouth. First, we spoke to Mark Graber, professor of clinical emergency medicine at the University of Iowa Carver College of Medicine. Graber says that coconut water really isn't much like blood plasma, and if a patient came into his ER dehydrated, he wouldn't reach for it. "It's not an optimal IV solution for rehydration because it doesn't have enough sodium content to stay in the bloodstream," says Graber. "And it could cause elevated calcium and potassium, which could be dangerous." As a sport drink, Graber says coconut water is fine. But the data on all other clinical uses is weak and scant, he says. But while coconut water isn't a safe alternative for an IV, some doctors are recommending it to patients as an oral rehydration therapy. Robynne Chutkan, a gastroenterologist and an assistant professor of medicine at Georgetown University Hospital, grew up in Jamaica and says she's been drinking the water from young, green coconuts as long as she can remember. When coconut water finally hit the U.S. market, Chutkan was thrilled to discover it tasted pretty close to the real thing. Eventually she began to suggest it to her patients, many of whom have had their colons removed and struggle to stay hydrated. (The main function of the colon is to absorb water.) People with conditions like colitis fromCrohn's disease and gastroenteritis can lose a lot of water in diarrhea, too, Chutkan said. "Diarrhea is the main obstacle to hydration [for these patients], but I am not a fan of Gatorade to treat it," Chutkan says. "It's very synthetic stuff and has citric acid, sodium citrate and sugar. And it's very concentrated, which could lead to the worsening of diarrhea. 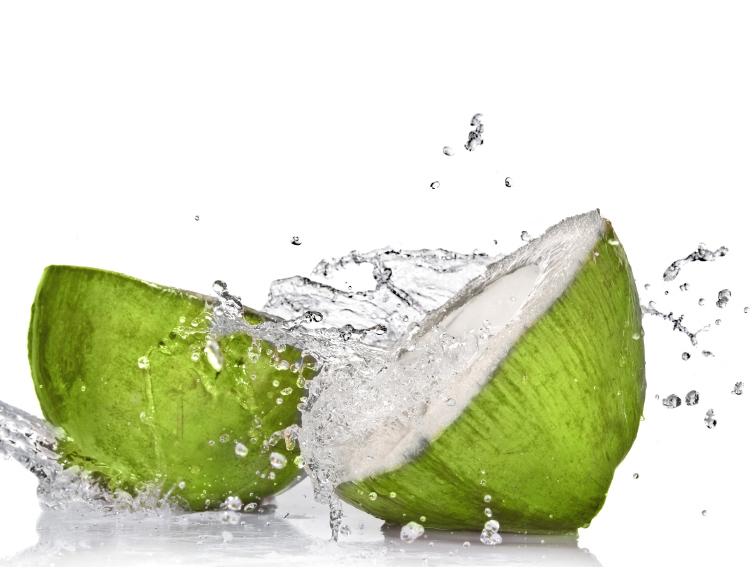 Coconut water is great because it's already diluted and it's natural." Coconut water also has electrolytes, which Chutkan says give it a small advantage over water. "But it's not magical. In our society, we're always looking for the magical thing, and I see a little of that in [the marketing of] coconut water," Chutkan says. And even if it's more natural than the other stuff on the market, the nutritional claims on the label may not always be accurate. A recent study by the independent health product reviewer Consumerlab.com found that two of the most popular brands, Vita Coco and ONE Coconut Water, contained less sodium and magnesium than advertised. Only Zico Natural contained the amount of sodium listed on its label — 160 milligrams.